The Keighley & Worth Valley Railway have great pleasure in announcing that Richard Jones will be joining the Railway as Operation Officer on March 16th 2015. Richard has an impressive array of experience gained over many years as both volunteer and employee in the heritage railway movement. We are sure that our Railway will benefit enormously from his skills and enthusiasm and look forward to him joining our team. 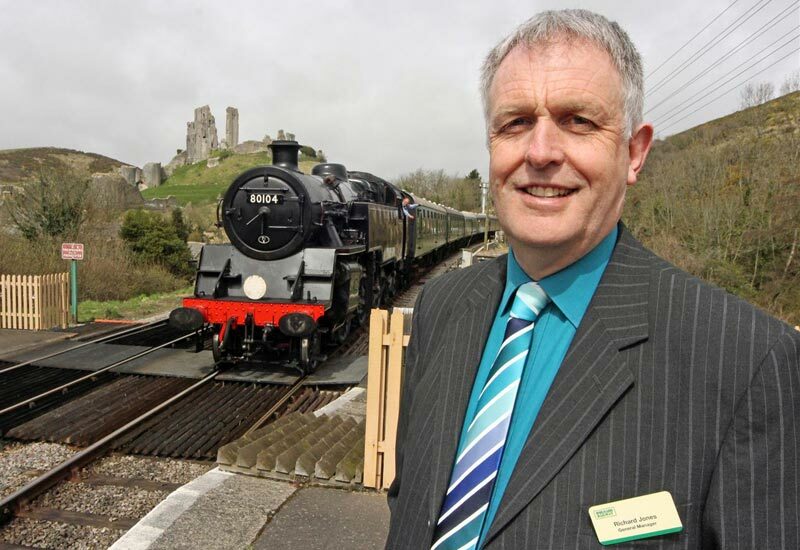 Richard is currently the General Manager of the Swanage Railway having previously served in the same position at the Bodmin & Wenford Railway in Cornwall but, as the Swanage Railway press release says, Richard’s original roots are in Yorkshire and it is to his roots that he is returning. Swanage Railway General Manager, Richard Jones is to leave the award-winning Dorset heritage line and become the new Operating Officer for the Keighley and Worth Valley Railway in Yorkshire. Joining the Swanage Railway in April, 2013, as General Manager, Richard’s decision to leave the Isle of Purbeck to pursue a new professional challenge in the north of England was made for “purely personal reasons”. Richard said: “I have thoroughly enjoyed my time at the helm of the Swanage Railway. It has been a privilege and a pleasure to lead such a fantastic team. I would like to thank everyone for their encouragement and support during my time as General Manager. I leave the Swanage Railway in good heart, having enjoyed two extremely successful years with much progress made, and well set for a positive and exciting future. Having been the Swanage Railway’s General Manager for almost two years, Richard had previously been the General Manager of the Bodmin and Wenford Railway in Cornwall for five years. He has been involved with heritage railways as a volunteer for 42 years, working as a paid employee in the sector for the past nine years. Swanage Railway Company Chairman, Peter Sills said “Richard has been with us for nearly two years and during that time he has achieved a huge amount and has contributed enormously into increasing the professionalism, Customer offering and management of the Swanage Railway. He will certainly be leaving the Swanage Railway in better shape than it was before he arrived. The challenge of being a General Manager on a heritage railway is not to be under estimated and certainly the Swanage Railway is no exception. I would like to wish Richard all the best for the future and I am sure that the Keighley and Worth Valley Railway will benefit hugely from Richard’s vast experience and work ethic,” added Mr Sills. Chairman of the Keighley and Worth Valley Railway’s operating company, Mike Curtis, said: “We are delighted that Richard is joining us as our new Operating Officer. With more than 40 years experience working on heritage railways in a variety of roles – and having worked on the main line railway network too – he brings a wealth of knowledge and experience to the post, particularly of railway operations.